You don't need to hire a graphic designer to enhance your agency's online presence with informative, eye-catching insurance-related digital graphics. As an MAIA member, you can purchase a library of high-quality images that you can use on social media pages, in email correspondence, or in other electronic communications. We'll email you the complete library of 24 digital images sized at 800 pixels x 800 pixels in .jpg format for $250. View the samples below and place your order today. For questions please contact Sheron Gagnon at 800-742-6363. 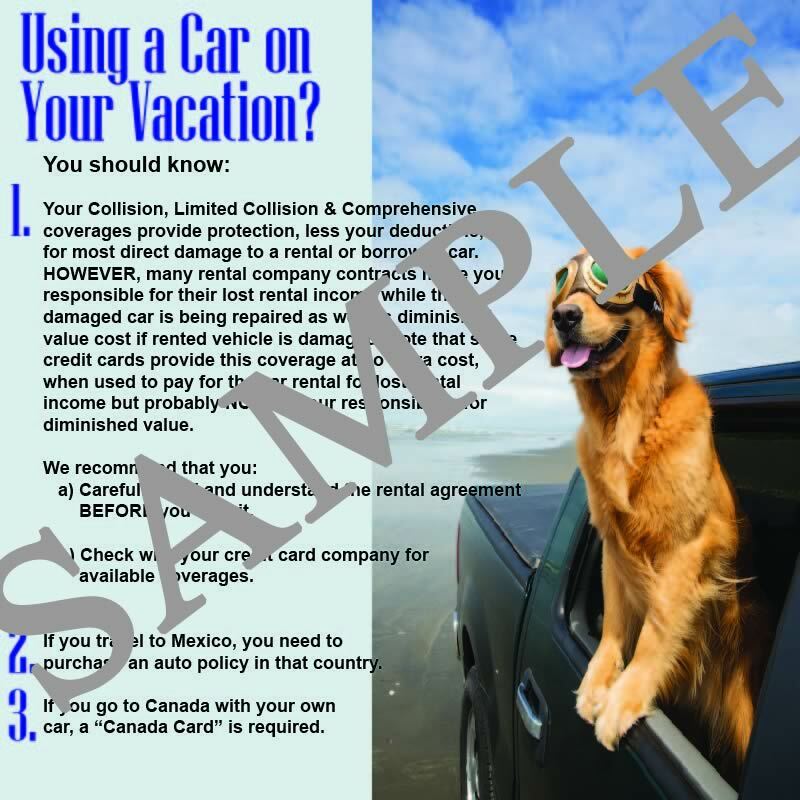 Using a Car on Vacation?